I thought about calling this post a Reading Forgotten Books. Technically, it isn’t such, though Bill Crider covered Alley Girl before Patti Abbott started the meme. It certainly could fit and the main character is every bit as nasty and immoral as Bill paints him in his review. Check it out as he does a much better job than I could describing Jonathan Craig’s novel. I’ve never read any of Craig’s Pete Selby novels, though I believe I read a short story in a collection of PI tales though. Probably need to find a Selby book or two. For more Forgotten books, as always on Fridays, check out Patti Abbott over on her blog, Pattinase. BODY COUNT celebrates thirty years since Joe Hannibal first appeared in print. Six stories from all across the years from Rockford, Illinois to the move of both author and the character to Ogallala, Nebraska where Hannibal. while keeping his PI license out of habit, now runs a private security service keeping look out over vacation cottages and the odd business or two. 1: THE FANCY CASE: the first short story long out of print. Hannibal is not fully developed as yet, still a bit on the rough side. 2: DEATH OF AN IRON MAIDEN: a female bodybuilder is killed after she hires him to look into some incidents around her gym and before he can get started. 3: BODY COUNT: a high priced call girl’s client list is now a hit list. Nominated for an Edgar, an Anthony, and a Shamus. 4: APACHE FOG concerns a car accident Hannibal witnesses and the animals(the human kind) released to put him and others in peril. 5: BAD DAY IN THE BADLANDS: a break with his girl friend Abby turns into a battle for survival. 6: THE HARD SIDE OF HEARTBREAK was written for this volume and has Hannibal looking into vandalism of Abby’s husband’s country western band on the verge of their big break. A fine set of tales that will work well as an introduction to the worlds of Joe Hannibal if one is unfamiliar. A nice introduction by Lynn F. Meyers, Jr., a friend of twenty five years, opens the set. Well worth checking out. Shortly available in print. FOREIGNER was a favorite band back in the day. There was always a revolving membership that featured mostly songwriters Mick Jones. lead guitarist, and Lou Gramm, vocalist(what a voice). The pair had a falling out in 1990 and Gramm left the band for a couple of years. Relationship patched up, they continued. then it happened again in 2003 and the split seems permanent. Not heard the new singer, but he can’t be as good. I managed to see them three times live, twice headlining In Greensboro, NC , once co-headlining with Ted Nugent at an outdoor event in Charlotte with Black Oak Arkansas and Mother’s Finest opening the show. It was about an eight hour event. And a damn good time. They had some pop hits that really rocked and Gram had that distinctive voice that made a band stand out. Those were the days. I’m a long time fan of the Sherlock Holmes stories, read the originals and a great many pastiches. Loren D. Estleman wrote two Holmes novels years back that I grabbed up as soon as I found them: Sherlock Holmes VS Dracula and Dr. Jekyll and Mr Holmes. THE PERILS OF SHERLOCK HOLMES collects short stories by the author previously published in various Holmes multi-author anthologies over the years, with the exception of one seeing print for the first time. There’s also a couple of essays on aspects of Holmes. A couple I’d read, the others were from collections I’d missed. Eight stories and two essays. In his introduction, the author speaks of his love for the originals and how he came to write them. Most have had a pruning from the original publication and an updating of one essay to include new material since it first appeared. THE ADVENTURE OF THE THREE GHOSTS: set during the Christmas season and from the title, it wasn’t hard to figure the direction of the tale. Still, the author has a few surprises. THE RIDDLE OF THE GOLDEN MONKEYS: Watson is visiting a retired Holmes among his bees and meets a young author named Sax Rohmer with a life threatening problem. While traveling into the American southwest aboard a train, Holmes and Watson meet an American lawman needing help to get his friend out a murder frame. The title, THE ADVENTURE OF THE COUGHING DENTIST, gives one the identity of those two men. THE DEVIL AND SHERLOCK HOLMES finds Watson as Holmes’ client. Working a bit in an asylum to help out an alienist friend, there’s a patient claiming to be the Prince of Lies and he’s convinced a number of patients, not to mention a doctor and a couple of nurses, he’s the real deal. THE SERPENT’S EGG is an interesting piece. It was to have been the opening chapter of a round robin novel and Ruth Rendall and Isaac Asimov, among others were recruited. But along the way, deadlines for other works got in the way and th years piled up until it was forgotten. Though an unfinished story, it showed great promise and I would loved to have seen the completed tale. One of the essays I found amusing. WAS SHERLOCK HOLMES THE SHADOW? (A TRIFLE) posits that very thing, showing comparisons in the stories about the pair that such could be. A nicely put together package, a hardcover, with each title page having a background of a map of London backing the edges. George Melies was a French illusionist and filmmaker responsible for the development of many techniques in the early days of film making. He directed 531 films between 1896 and 1913. Most known for A TRIP TO THE MOON(1902) and THE IMPOSSIBLE VOYAGE(1904). THE HAUNTED CASTLE(Le Manoir du Diablo), although played for laughs, is considered the first horror film. It opened on Christmas Eve, 1896 at a theater in Paris. THE ASTRONOMER’S DREAM is a farce where the Moon comes down to Earth and eats his telescope. We have little men tumbling out of it’s mouth, witches, and all manner of nonsense. In THE RED SPECTRE, a magician attempts to perform his act in a grotto and is confronted by a spirit. Edison Studios, owned by the Edison Company of Thomas Edison, made 1200 films between 1894 and 1918, fifty-four of them full length, the rest shorts. A TRIP TO MARS has a scientist invent an anti-gravity powder and going to Mars. Thought to be the first American science fiction movie. Edison Studios was the first to tackle Mary Shelley’s classic novel. It’s a twelve minute piece. Pictured below is the cover of the Edison Studios film catalogue. TARGET LANCER by Max Allan Collins, officially goes on sale tomorrow. I reviewed it a few months back and just wanted to remind everyone what a good novel the author has written. No money spent this week. All are sent for review purposes. 1: The Perils of Sherlock Holmes(ARC) – Loren D. Estleman: a collection of short stories and three essays published in different venues over the years. One new piece. Read and liked this one, a review later in the week. 2: Star Wars: Scoundrels(ARC) – Timothy Zahn: set after the very first film, four in the chronology, I’ve started this one. 3: A Killer In The Wind(ARC) – Andrew Klavan: one of those broken cop coming back with killers after him to cover up a big case. 4: Area 51: Nightstalkers(ARC) – Bob Mayer: The Nightstalkers are a team of elite soldiers that confront and shut down Rifts, tears in the fabric of the world and release violent energy beings. 5: Curious Anomalies(review copy) – Ryan Sean O’Reilly: a science fiction piece involving a geneticist, a drug dealer, marijuana fields, and gene engineered guards. Read and reviewed on Goodreads. 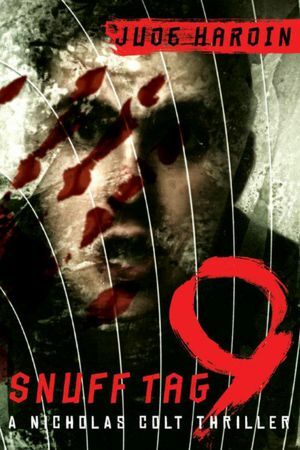 6: Perdu)review copy) – Raeden Zen: a science fiction/horror piece read and reviewed earlier on the blog. 7: Body Count: The Joe Hannibal Case Files, vol. 1: collection of six stories released to celebrate the thirtieth anniversary of Joe Hannibal in print. Former southern rocker, now P.I., Nicholas Colt finds himself drawn into a real life version of a video game. Snuff Tag 9 allows one to pick a character and participate in a fight to the death on a remote island. One picks two weapons from a list of ten, entirely at random, and must defend themselves against seven other contestants. Along toward the end, a ninth enters the game. There are twenty levels to get through. No one has ever reached the twentieth and only four have made it to the nineteenth. Rumor has it that last level puts one in combat with the insane billionaire behind the whole thing, a man known only as Freeze. Colt takes a job for a rich accountant who received a letter telling him to report to a certain area at a certain time to play the real Snuff Tag 9. Refuse and you die. Go to the police and you die. Colt shows up and is grabbed, but only after his client’s severed head bounces off his windshield. Rules are exactly the same, except this is no video game. There’s even an insane billionaire calling himself Freeze. And Colt is about twenty years older than the other contestants and in worse shape. He’s fifty years old. Compliance to the game is forced by a defibrillator implanted in each contestant’s chest that will instantly shoot a large electrical charge into the heart if rules are violated or one stray outside defined boundaries. The weapons Colt randomly picks are pepper spray and a combat knife. There are much better weapons in the ten. Our hero is forced to kill or be killed, staying alive as he tries to figure a way out of this mess. Not a bad thriller here and can be found HERE.